Surrounded by a variety of pines, hardwoods and hemlocks, White Ledge is located 5 miles South of Conway. White Ledge is a tranquil addition to campgrounds on the Kancamagus Highway. White Ledge has 28 sites. 17 are reservable: 3-13, and 23-28. The others are available without reservation. 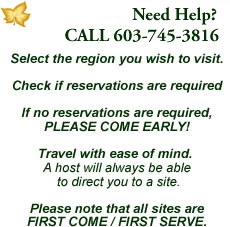 Call 1-877-444-6777 five days in advance for reservations. 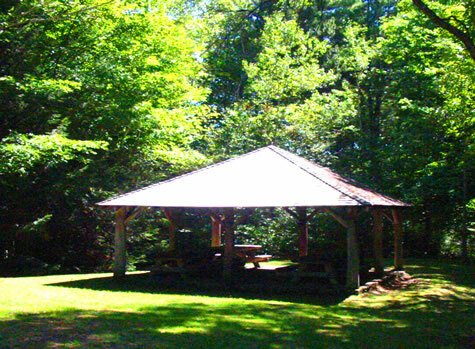 Each campsite has a picnic table and a fire ring with a grate. Toilets, drinking water and trash containers are a short walk from the sites. In order to maintain a rustic atmosphere, White Ledge does not have any hook-ups, dump stations or showers. Emergency information, including directions to the nearest telephone are posted at the campground. You need to register and occupy your site within 30 minutes of arrival. Each site must be occupied overnight by the person who registered for that site. There is a limit of 8 people and 2 vehicles per site. There is a 14 day camping limit.